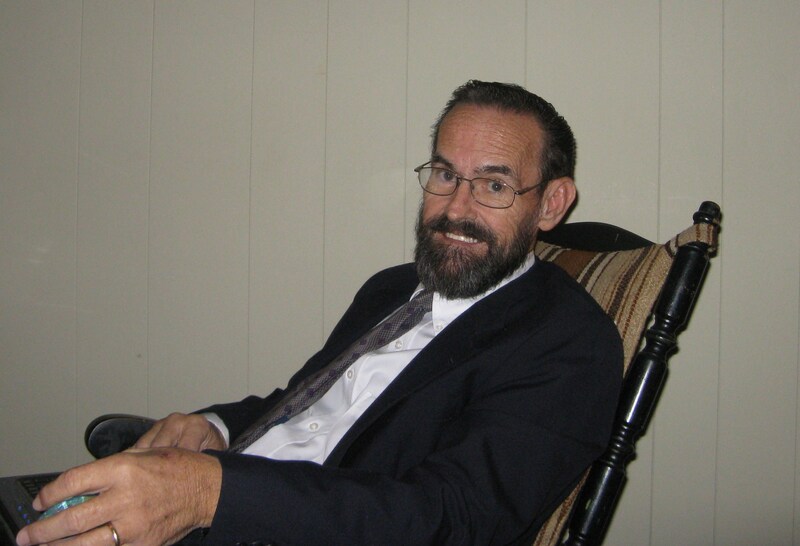 I want to please the Lord by honoring my father’s ministry and memory.Danny Mack Hall was a man that literally did live a thousand lives within his 62 years. Born in the small town of Ridgely,TN, raised in a family so poor that his stories sound at least a century old, he spent his teen years hitch hiking the across the country, was a member of the drug and hippie movement, but best of all, he was a prisoner that was set free in the Union City jail. He was set free from all his chains of sin by one single drop of holy, cleansing blood that floated down through the thermosphere, the stratosphere, the atmosphere, down past the smog and pollution, down to the west side of Tennessee into that tiny town, right through that cement jail cell ceiling, straight through the top bunk, and right straight into his heart. A small step of faith, but what a miracle! 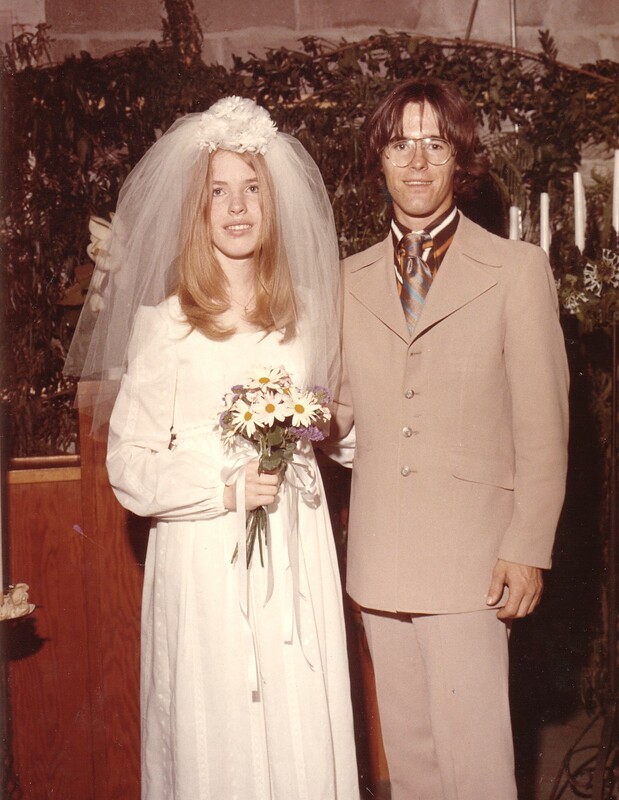 Danny and Dee Dee Hall were married on May 26, 1972. Their journey of faith and ministry began at nearly the same time. 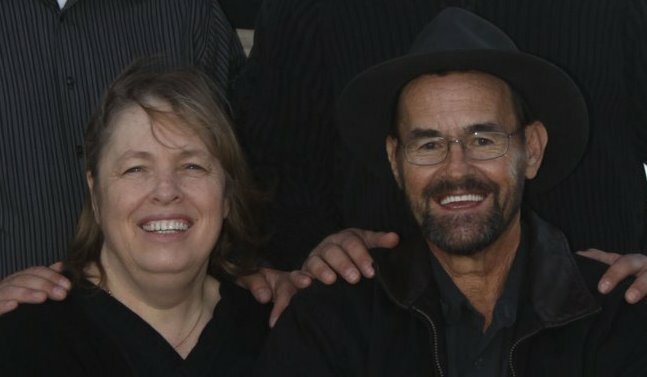 They worked in missions, were house parents for troubled teens, went out of state to Bible school, helped start a church in Washington, pastored in Georgia and East TN, and finally for the last 20+ years have been in evangelism encouraging saints all over the United States. After fighting hard a battle with hepatitis C, Dad finally laid aside his worn out flesh and put on that “new coat” of Heavenly fibers. He was welcomed home to Heaven on June 3rd, 2012. My mother, brothers, and I all watched and encouraged him on his passage during that dark, predawn moment. After having a terrible night filled with suffering and the ugly, bloody results of past sin and disease in his “wore out” body, thankfully dad was able to rest more peacefully during his last few hours. Even though goodbye was heartrending, the memory of us all sitting beside his bed and sending him off with love is one that I will always cherish. The two days that he was home surrounded by so many dear friends and family members was a precious gift. Thank you Carrie, for putting all this on here…your dad made a lasting impression on my life. Some of my earliest memories are of him and your mamma singing at Camp Waterbrook. In later years when our paths would cross, though that happened pretty seldom, he always would go out of his way to talk to me, see how I was doing. He was (and continues to be) a great blessing to me. We’re praying for ya’ll, may God bless you and your family. Thanks Seth. I have so many good memories of Camp Waterbrook as well. 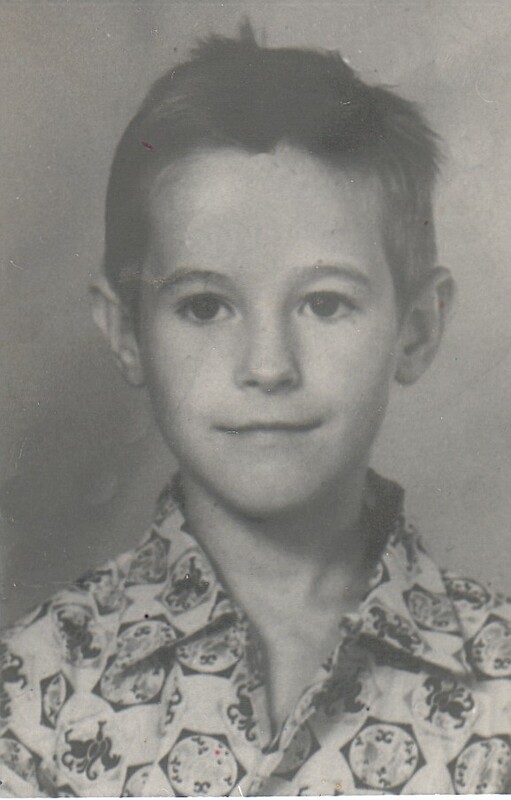 My earliest memory of your mom was her singing “Gone Home” while dad played the guitar for her under the old tent. I still remember your Dad singing “The Old Man Is Dead” among other songs at Camp Waterbrook under the tent and eventually the tabernacle, Pickin and Grinnin! What a Great Man. Always kind and caring about everyone else. I am sorry for your loss and that of your family, and pray God comforts you and your family thru this time and until we all get home! God Bless. Thanks Daryn. Enjoying the blast from the Camp Waterbrook past that these memories are bringing. Excellent site honoring your dad and God’s work through him. Such an encouragement to us to keep going! My hero Bro. Danny.. What an impact him and his family have made on my life. Some of my earliest childhood memories is hearing the Halls sing “I just wanna thank you LORD” I could never forget him and his influence on me pushes me forward and tells me not to give up when hard times come. What a Blessing. Oh what a Saviour. I love you Bro. Danny see ya later! Thanks, Jon! Some of my earliest memories are being up in Lebanon every Thanksgiving. Good times! We’re proud of you, and I know Dad was too. Have enjoyed reading all that’s been put up so far. This was an awesome idea and I’ve been reflecting on 30 years of knowing Bro. Danny and the rest of the family, wanting to post, yet not knowing where to start and afraid I wouldn’t find a good stopping place. Won’t dare try to cover the 30 years in one post, but will start with a few I remember…. Bro. Danny was “one in a million”, and while watching the video of him preaching I caught myself grinning so much it hurt, remembering his keen sense of humor and listening intently to make sure I didn’t miss a bit of what he had to say. When they’d come and stay at our house, we enjoyed the time immensely! There’d be stories, singing and playing of games. One time while they were staying at our house, a Pictionary game got underway. My Dad and Bro. Danny were a team, neither one of them really wanting to play but doing it anyway, and an “all play” came up. (Anybody that knows Mrs. DeeDee well knows she loves to play games AND loves to WIN!!!) “Go!”, was said and my Dad hollered, “Popcorn!” Mrs. DeeDee had not even gotten her pencil to the paper and could NOT believe they’d gotten it so fast. She wanted to see the drawing that had gotten the answer so quickly and there was nothing to see. She asked, “How did you get it?!?!? !” Bro. Danny looked at her and stuck out his tongue – yep, it was covered with the popcorn he’d been eating. Mrs. DeeDee wanted it not to count, but they got it….. He encouraged my brother and me to sing, playing for us a time or two before we started playing the piano and singing on our own. He even sang with us a time or two….. The last time he was here I was sick and didn’t get to see him. I was afraid whatever I had was contagious and I did not want to pass it on to him. (If I’d known that would be the last time I would’ve at least gone and talked to him through the door!!) My son, Wilson, got to meet him and I was thrilled about that – I know he’ll never forget him. He and Mrs. DeeDee visited our church and our people loved them. “REAL” is the word – what you saw was what you got! And, I don’t say that about very many people! It was so sweet of your parents to visit in the hospital. They came by on Thursday afternoon, and he was asleep and I couldn’t get him to wake up. After a few hours he just opened his eyes, and it was like, “Wow, Dad’s back!” He talked more than he had in weeks. He had us all laughing so hard. After that he was his spunky old self until nearly the end. Also, thanks so much for being such a help during mine and Dana’s “adventure.” It’s so good to have friends. Love ya! This website is such a blessing your dad was such an encouragement to me as a young preacher even though you knew he was hurting he never complained but gave God all the glory in his life. He will truly be missed we certainly need more men of the faith like him. I have been in prayer for you and your family may God bless y’all in whatever y’all may do God bless. Carrie, great tribute to one of the finest Christian men I’ve ever met in my life. He was missed last August, and will continue to be missed by all of us at the meeting. Lol! I’m so thankful to have gotten to know Bro. Danny, and for what an influence, both Spiritually, and musically, he had on me. Through his suffering, he comforted us through the death of Chelsey, and Poppop Sage, and ministered to us. He was a friend to everyone, and I will never forget him. and was a true friend to me. I will miss him and all the fellowshipping and snow ice cream at our December meeting. Heaven gain and our loss. Bro. Danny and Miss Dee Dee are very special people for the light that they so shine. I never heard either one say a poor thing about anyone. Danny stayed with us during our camp meeting for the last several years at Gulf Coast Baptist Church in Florida. It was always cherished moments as they spent time with us and our 6 children. Bro. Danny will be missed. We love the Halls!!!! Getting close to our Beggars Meeting and thinking of Bro Danny! What a void is left and one day it will be filled again in Glory! I met Bro. Danny & Dee Dee & you too, Carrie, multiple times at the Annual Camp Meeting in Chicago at King James; Pastor Huff. I moved to Phoenix in 2006. For many years until this day, I have kept a long list of Psalmists, Pastors, Evangelists, and Missionaries to pray for on a somewhat irregular basis-obviously, the Halls amongst them. I remember that you stayed with the Borek’s, Henry & Verna; still very good friends of mine even in this long distance. I’ll always remember how your family’s singing and preaching touched the crowd, and especially myself. So here I am on a Saturday morning, sitting out by the pool with my computer with all of my miscellaneous Word and Excel documents open, praying for some of the old timers and remembering the influence that each of them have had on my Christian growth. When I got to Danny, Dee Dee, and Carrie, something told me to google you. I know that it’s been a couple of years now, however, God Bless you and Mrs. Hall. I don’t know a man more prepared for glory than Danny, and his life testified to that! You are one of the names of people that I look forward to hitch hiking across New Jerusalem to see-When We All Get to Heaven! Amen! I’ll know I’m near when I hear the harmony and your Mom’s mandolin playing. I don’t know if the folks back in Des Plaines and Mt. Prospect even know of Danny’s passing. I do recognize Bob Nogolski in the comments above from the same Camp Meetings. Bless you sister, and you Mother Dee Dee also. Amen. Thank you for your kindness and prayers, Brother. I will pass along your thoughtful comments to mom. I was a friend of your Mother and Father years ago, I was at their wedding and went to many prayer meetings with them. I searched the internet looking for them only to find them after his passing. Please tell your Mother I have never forgotten her and her family! I am sad to hear Brother Danny is gone but rejoice in knowing he is with the Lord that he spent many years praising.. I remember Danny and Dee Dee visiting Charity Baptist Church around 1991 at camp meeting. What a great blessing. Your dad was a wonderful, loving and kind man. Interestingly enough, I just heard Jeff Hanna of Nitty Gritty Dirt Band on TV, and he sounds so much like you father did that it made me think of Danny Hall. Just know that your dad touched many lives and will never be forgotten. Bro Danny was a special man and it was an honor to meet and spend times with he and DeeDee in different churches where they always blessed your heart with their songs and testimony. It truly was an honor to know him and we enjoy times we get to be with sister Dee Dee even now and one day we can all sit down in Heaven with him Amen! He was a man in which I could relate to. (not many around). He was a friend in deed and made no bones about it!